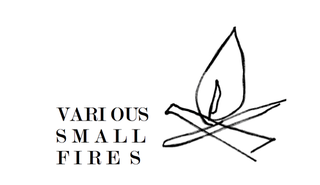 VARIOUS SMALL FIRES (VSF) is a gallery in Los Angeles directed by Esther Kim Varet. It first opened its doors to the public in January 2012 on the main commercial strip of Venice Beach, the home of Los Angeles’ original avant-garde. In homage to this legacy, VSF borrows its name from local artist Ed Ruscha’s conceptual art book, Various Small Fires and Milk, self-published in 1964. VSF is dedicated to exhibitions that challenge conventional modes of art production and presentation, and its new gallery facilities were conceived to be an environment as dynamic as its curatorial agenda. VSF collaborated with Johnston Marklee architects to re-imagine the traditional white cube gallery while taking full advantage of L.A.’s abundant natural light and favorable climate. The resulting 5,000 square foot complex is an immersive series of connecting indoor and outdoor spaces for the presentation of art in all media. Upon entering the facility, visitors will first walk through a unique outdoor sound corridor outfitted with an array of hidden speakers that host an ongoing program of curated and commissioned sound art. At the end of the sound corridor is a ‘roofless’ outdoor gallery, surrounded by white walls and dedicated to large-scale sculptures, installations, video art, performances, discursive programming, and screenings. Finally, linked to the outdoor gallery by large sliding glass doors is a 3,000 square foot building with an expansive main gallery space and two project spaces, each flooded with natural light from oversized skylights. A reception desk by artist Jim Drain, constructed of rebar with bungee cords and plexiglass, is the first iteration of what will be an annual artist-designed VSF Front Desk Commission.